No Matter The Age Of Your Kiddo, St. Paul Is The Place To Be! Great Halloween Activities for K-3rd and Clubhouse! Mark your calendars and save the date! 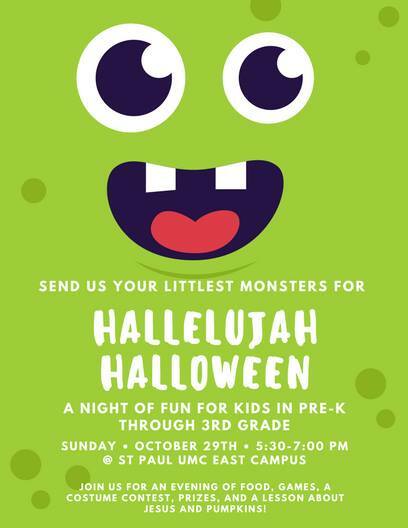 If you've got a kid between Pre-K and 12th grade, St. Paul will be the place to be on Sunday, October 29th! One location, three parties, unlimited fun! If you bring canned goods or a friend (or both!) to either of these parties to be entered in a special prize drawing.